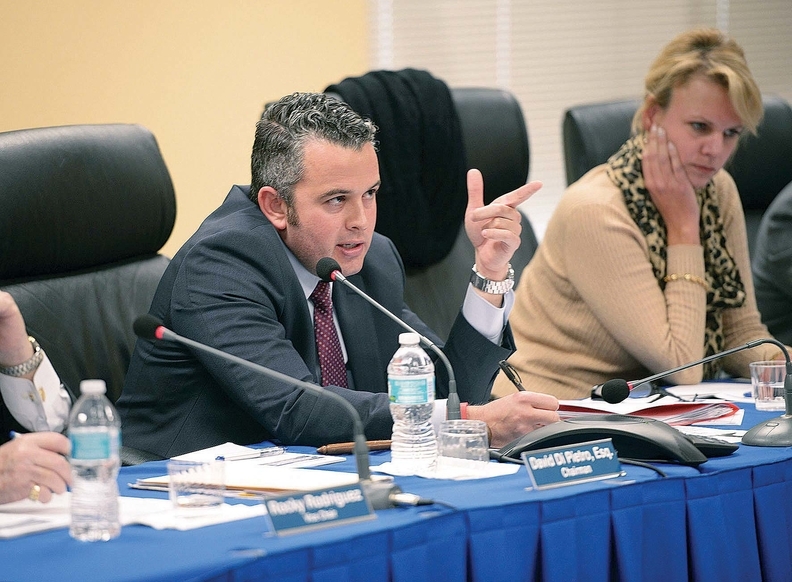 David Di Pietro, former Broward Health board chairman, has said that he tried to fight corruption within Broward, but Broward Health “is stifled with so much political interference, that my continued membership is utterly futile.” He has since resigned. Pauline Grant has a big job ahead of her as the new interim CEO of Broward Health. The Florida system's CEO committed suicide in January, the state is looking into allegations of fraud, waste and abuse, and the governor accused two board members of interfering with that investigation and suspended them. Last year, the system agreed to pay nearly $70 million to settle allegations that it gave doctors excessive salaries in exchange for referrals, although it did not admit any wrongdoing. Broward, a public health system with five medical centers and hospitals that had operating revenue of $971 million in 2014, is in South Florida. Some wonder whether Grant can truly begin to turn Broward around as it searches for a permanent CEO. After all, she's a 23-year veteran of a system in a state that's known for healthcare fraud. Since January, HHS has touted about a dozen enforcement actions over alleged Medicare and/or Medicaid fraud in Florida, and the U.S. Justice Department has announced more than 15. In the Southern District of Florida alone, close to 900 people have been charged with fraudulently billing more than $2.5 billion to Medicare since 2007, according to the Justice Department. Experts say the state's high number of Medicare beneficiaries and its proximity to countries where fraud may be more common make it fertile ground for fraudsters looking to rip off the government and run. In addition, larger Florida systems such as Broward may succumb to the same pressures faced by systems across the country. They're navigating complex laws surrounding physician contracting, facing stiff competition for doctors and battling whistle-blowers eager to reap rich rewards. Fraudsters target Florida partly because it has an aging population and is close to other countries, making for an easy escape. Florida's recent hospital settlements include Adventist Health System in Alamonte Springs, which paid out $118.7 million, and Halifax Health in Daytona Beach, which paid $85 million. Both were accused of illegally compensating physicians. Halifax denied wrongdoing. Adventist said it regretted its lapses in oversight and made changes, but the settlement included no admission of liability. “South Florida is ground zero for Medicare fraud,” said Dr. Michael Reilly, the whistle-blower in the recently settled fraud case against Broward. While Florida's overall patient costs are lower than the national average, the size of its aging population and a fee-for-service system that's stuck in overdrive draw potential fraudsters. Florida, with its large senior population, had 27 clinicians among 100 providers that collected the most Medicare Part B payments in the nation, according to CMS data posted last week. Some of those clinicians' payments may reflect services rendered by multiple individuals. Fraud is not an easy problem to solve. In 2007, federal, state and local investigators kicked off the Medicare Fraud Strike Force team in Miami. Tampa Bay and seven other areas across the country now also have such teams. Fort Lauderdale, Miami and four other areas nationwide have CMS-imposed moratoriums on new Medicare home healthcare agencies—a move also meant to curb fraud in those settings. Shimon Richmond, special agent in charge of the Miami region of HHS' Office of Inspector General, argues that enforcement efforts are working, citing a crackdown on fraud affecting community mental-health centers several years ago. Billings in that area of South Florida plummeted, he said. On April 28, the U.S. Justice Department announced that it had filed charges against 25 Miami-area individuals for allegedly taking part in schemes to defraud Medicare of $26 million through the Medicare Part D program. On April 18, a Miami physician, Dr. Henry Lora, was sentenced to 108 months in prison for accepting kickbacks and bribes in exchange for writing prescriptions for home health care and other services that Medicare beneficiaries didn't need or didn't get. The overall scheme cost Medicare $30 million, according to the Justice Department. Former healthcare clinic consultant Nery Cowan of Miami was sentenced on April 12 to 135 months in prison and ordered to pay $100,000 for her part in laundering money in connection with a $63 million healthcare fraud scheme. A patient recruiter for Miami-area home health agencies, Carlos Rodriguez Nerey,was convicted April 1of defrauding the government and paying and receiving kickbacks in a scheme that allegedly cost the government $2 million. Still, Richmond acknowledged there aren't clear numbers to measure whether less healthcare fraud is occurring in Florida overall. And, he added, fraudsters are getting better at hiding. They're going to great lengths to make their sham businesses look more legitimate, such as by paying other individuals to secure the necessary business licenses and bank accounts. Richmond said many individuals charged with healthcare fraud in Florida flee overseas, and a significant amount of fraud proceeds are scuttled away off shore. The culture of corruption goes up the chain, Burns charged. He noted that Gov. Rick Scott was CEO at HCA amid a federal fraud investigation that resulted in the hospital giant paying a $1.7 billion settlement. Scott, who was never charged in relation to the allegations, did not respond to requests for comment. Lately, Scott has been busy dealing with Broward. He recently appointed the former chair of the Florida ethics commission to the public health system's board. That followed his suspension earlier this year of two board members. One, David Di Pietro, was reinstated to his post by a judge. Di Pietro said in a subsequent letter to Scott that he had tried to fight corruption within Broward, but Broward Health “is stifled with so much political interference, that my continued membership is utterly futile.” Di Pietro has since resigned. Broward's new interim CEO, Grant, denies that there's a culture of corruption at Broward and says the system has taken steps to fix any issues with physician contracts following its federal settlement last year. Grant said she can't explain the political struggles at the top of the system, and she's accepted that she can't control them. She wants to focus on quality healthcare and making employees feel proud to work for Broward. Ogrosky, who left the Justice Department and is now a partner at law firm Arnold & Porter, said anti-fraud efforts should be directed toward front-end payment of claims. “You can't prosecute your way out of fraud,” he said.